Okay, so no offense to any men out there, but you know when the guy in your life gives you one of something, one year, and you exclaim how much you love it, that this practically guarantees that he will give you not one, but dozens of said item with the next occasion? don't you just want to scoop them up in your hands over and over? My husband, bless his heart, discovered how much I loved his gift to me last year, of 2 small boxes of my favorite bagged tea. So, this year, just what do you think popped into his mind to gift me with? A large box filled with 100 sachets of my favorite bagged tea. It is definitely very good tea, and I appreciate his efforts to get me what he knows I will enjoy. I had thought about hoarding all this tea to myself. I could likely make it last a year (I don't drink tea every day, but several times per week). Or . . . I thought, why not share my good fortune with you?! Let me tell you about this tea, so you can decide if you'd like some. It's double bergamot Earl Grey black tea. The bergamot is a citrus fruit, but instead of tasting citrusy, it tastes a lot like lavender, to me. I like the double bergamot, as it's highly flavorful, and can stand up to the milk I add to my tea. I have tried many versions of the extra bergamot Earl Grey, and this one is, IMO, the best. It could only be improved upon if it were a double bergamot, cream of Earl Grey. 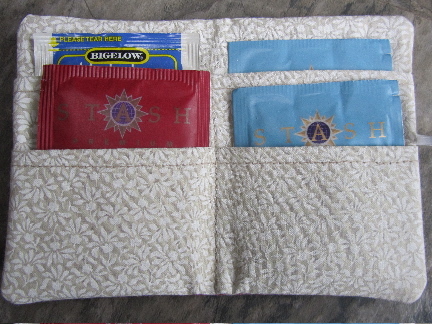 And to sweeten this deal, I'm including one hand-sewn (by moi) tea wallet, that holds 4 sachets of tea, so that you'll never be without your favorite blend. This tea wallet has pockets inside for 4 tea bags, but also could be used to carry packets of your sweetener of choice where ever you go ( I like stevia for iced teas, and sugar in the raw for coffee, and rarely find them in coffee shops, restaurants or friends' homes). imagine the boiling water frenzy in your own home! 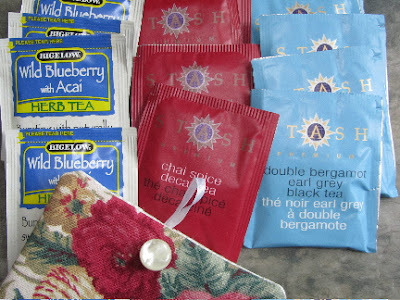 I'm including 15 tea sachets with this tea wallet in this giveaway. As I am aware, probably not everyone in this world shares my passion for a very bergamot-y tea, only 5 of the sachets will be the Double Bergamot Earl Grey. The other 10 sachets included are from my second and third favorite bagged teas, Decaf Chai Spice Black Tea, and Wild Blueberry with Acai Herb Tea. The Decaf Chai Spice I enjoy when it's past my caffeine cut-off for the day, but want a treat of hot tea and milk. And the Wild Blueberry with Acai is my favorite diet treat. It tastes sweet, just as it is, and is great hot or iced. So, this giveaway, absolutely free, no strings attached, includes the hand-made tea wallet, and 15 sachets of flavorful bagged tea. I know, it's not exactly fantabulous, but I just thought I'd share, as my cup was running over! And just an FYI, there WILL be a regular post on Saturday, as usual. My cup runneth over here also courtesy of my father-in-law, so I am not entering the contest. I could have a contest too, but I'm afraid that my tea might be too old. To everyone out there, does tea ever get to old to use? The essential oils may dissipate a bit, with time, but the tea will still be safe to drink, and most black and green tea blends will not develop an off taste. This could be different for herb teas. 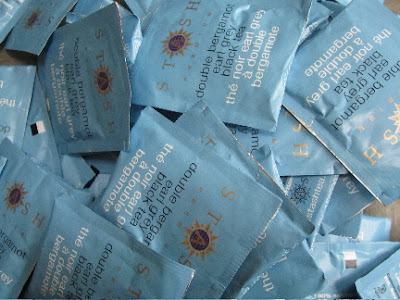 Loose tea doesn't have the benefit of sealed packaging and will lose flavor sooner than prepackaged, airtight sachets (like ones in those foil pouches). But I still drink tea that's several years old. 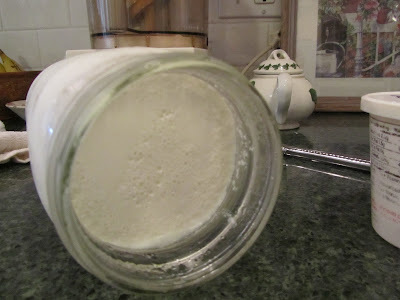 I'll use it in iced tea blends in summer (add in garden herbs or crushed berries). You can also brew some tea up and use as liquid in a tea bread, if you just have too much of a tea that you don't care much for. Good luck with it. And how kind of your father-in-law to gift you with so much! 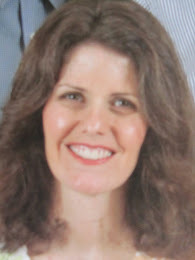 Bless your husbands heart!! How cute-he wanted to make you happy and just imagine if a few tea bags would delight you what 100 would do!!! 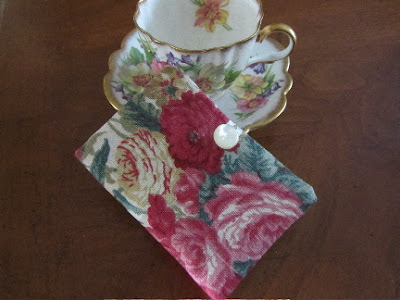 I love your Tea Wallet and your crafty ability to make one! I know, isn't that too cute?! What a sweet giveaway! Thank you! Dear Lili, even if I don't win this wonderful item (my fave teas, chai and earl grey) at least I've come away with the idea of making my own. I don't think tea gets too old to use if kept in a stable temp / humidity environment. I love both chai and Earl Grey with lots of milk. How about you? Do you do milk in your tea? I had milk tea for the first time at a neighbor's house. My mom always put lemon in hers, no milk. There is something about the ritual of tea that is very soothing. There's the time waiting for the water to heat. Then the tea has to steep for a couple of minutes. It's very hot, so I only take small sips at first. All of this serves to slow me down, and soothe and calm me. Coffee to wake me up, sure. But tea to slow me down. I love your tea wallet what a great way to carry what you love with you. I can't drink black teas due to kidney issues, so I try to carry along some herbal when I go out, but I just stash it in a pocket in my purse, not so pretty. Very smart of you to bring your own of what you know that you can have, whether it's just in a pocket in your purse or where ever)! You don't have to just sit and have water, because there's no herbal tea available. I love the tea wallet. Yay, a giveaway that is open to everyone :) My favourite tea is green tea, but I'm also a fan of chai, and wild blueberry acai sounds tasty. You could probably grow your own green tea where you live. Cammilia Sinesis is the name, I believe. You can start it from seeds. It's hardy down to about 20 degrees F. And you can grow it in a pot! If weather ever threatened to get too cold, you could bring it in for a few days. I've thought about growing some myself in a pot, then overwintering indoors. I have always loved (since my teens)teas from the Republic of Tea - especially the Ginger Peach black tea. I also adore all kinds of mint tea especially after dinner and before bed. Nowadays I am saving Orange peels (per your post) and ginger peel to steep in hot water (with a little honey and lemon - yum). I think I have seen Republic of Tea at World Market --Cost Plus. I'll have to look for Ginger Peach. That sounds very yummy! Cute and clever idea-the tea wallet. My favorite tea? hard to decide as I love so many . . Earl gray, Constant Comment, an herbal infusion from France, I love lemon etc. Depends on my mood, and caffeine levels! Thank you! An herbal infusion from France -- now you've peaked my interest! Do you happen to know which herbs they include? I drink Earl Grey every single day - but never tried double Bergamot! I buy it by the 100 packs - LOL! Cheers! So you buy it in the large packs, too! That is the economical way to buy it. Great little tea wallet! Not being a coffee drinker any more, I love my teas. And I agree - a mindful tea drinking ritual is as important as the tea itself. Those few minutes it takes to make the tea really slows things down, in a very good way. I am mostly a Lipton girl. Make a pot almost every morning. My Japanese daughter-in-law once showed me a tea ritual where everything including the way the cup is held was so special and soothing. Amazing how around the world, there is a ritual to tea. Welcome, Judy! Mmmm, both cinnamon and mint are delicious in tea. There are so many flavors of tea out there! Welcome, RF. Thank you! I agree -- that first cup of the day is always the best. I'm paying attention to the tea, at that point, and the flavors hit my palate more intensely than subsequent cups.